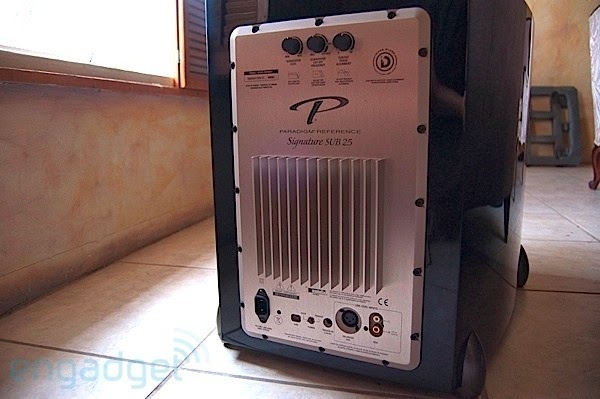 EngadgetHD.com reviewer Steven Kim recently offered his assessment of the Paradigm Signature SUB 25, laying high praise on our flagship subwoofer. The best line of the review comes in the summary where Mr. Kim states, "Think of it as a ninja bodyguard packed full of bass -- you won't even know it's there until it's called upon, and then things get done with quick, effortless precision before it disappears again." Some seriously high praise from one of the most prominent A/V technology sites on the internet today. Who wouldn;t love a ninja bodyguard?